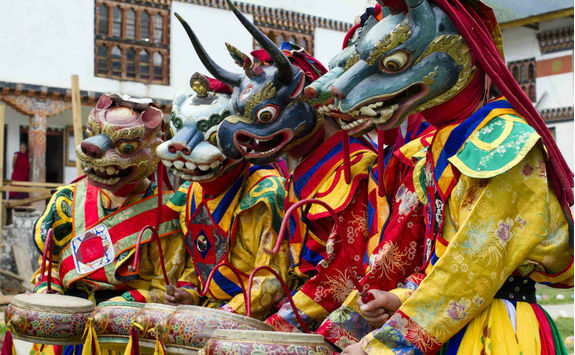 An extraordinary blend of culture and relaxation, this is a fabulous 16-day itinerary. 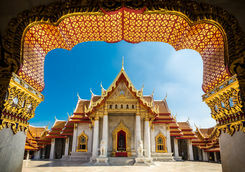 Beginning with temples, rivers and monasteries in the remarkable kingdom of Bhutan, there's a two-day taster visit to Bangkok and a chance to unwind with a five-day stay at an idyllic beachside retreat on the island of Phuket. 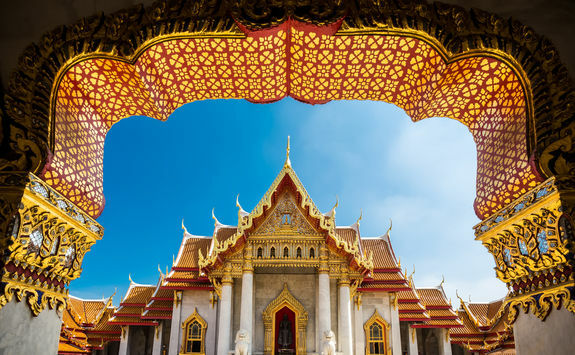 Board your evening direct overnight flight from London to Bangkok. 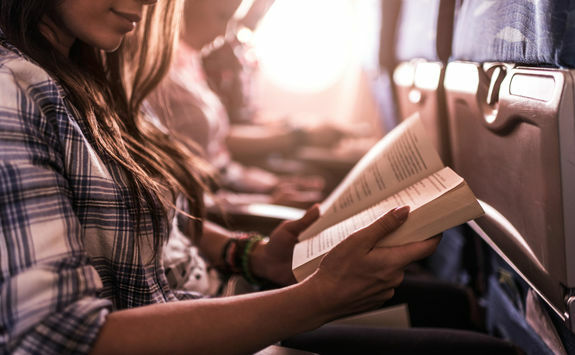 With a flying time of around eleven-and-a-half hours you'll want to stock up on good books or iPad boxsets. 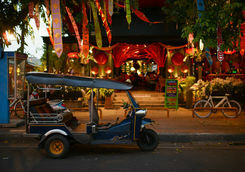 Arriving in the afternoon, collect your luggage and follow the signs to your airport hotel, around a 10-minute walk. 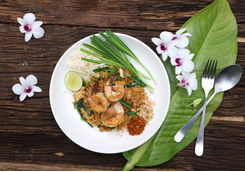 Have a meal and an early night, ready for your onward travel in the morning. 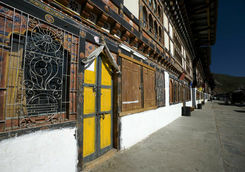 Head back to the airport for a very early flight this morning to Paro - the main access point for the extraordinary kingdom of Bhutan, with a flying time of around three hours. 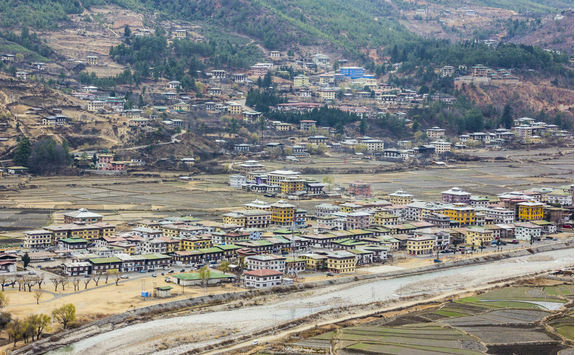 You'll be welcomed on arrival by your driver and transferred by private car to Thimphu, a delightful journey alongside meandering rivers and through rural landscapes dotted with farmhouses. 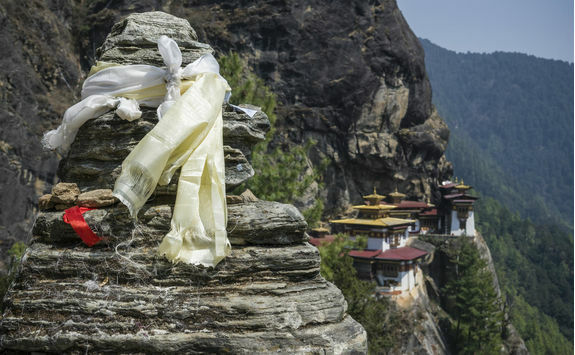 It will take around an hour-and-a-half to reach the outskirts of the country's capital, a bustling town where government buildings rub shoulders with ancient temples and produce-laden market stalls. 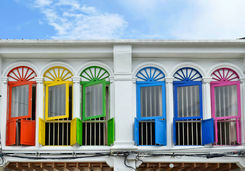 After checking into your hotel, stretch your legs and take in the sights and sounds around the town, perhaps visiting one of the intriguing museums, such as the National Textile Museum, exhibiting the country's iconic intricately woven fabrics, or the Folk Heritage Museum showing the workings of traditional rural life. 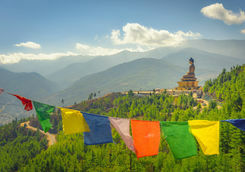 This morning you're free to see a little more of Thimphu, where you may like to buy some prayer flags for your travels later today. 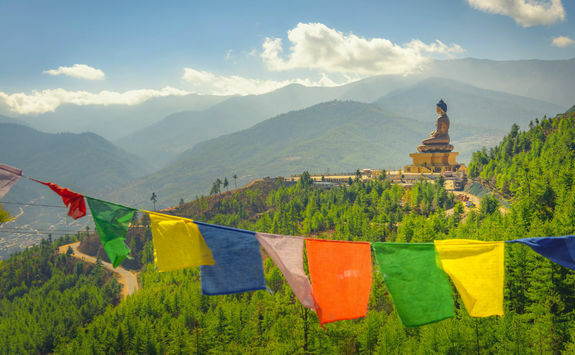 You'll then be collected by your driver/guide to set off up the mountainside, zigzagging along the tracks to the stunning Dochula Pass, at 10,000ft and offering magnificent views towards the Himalayan peaks on a clear day. 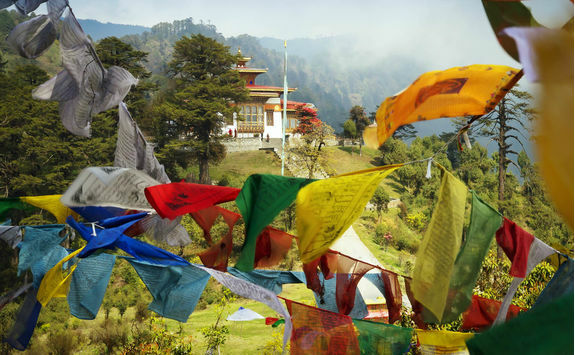 Visit the 108 pristine chortens, or shrines, that commemorate the local soldiers killed in battle in 2003 and pin your prayer flag alongside the hundreds already there, fluttering gently in the sunshine. 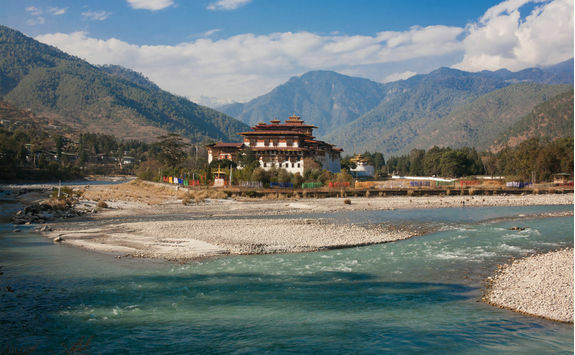 Your route then takes you down the mountain to the Punakha Valley, the huge change in altitude and climate clearly visible in the changing vegetation and crops. 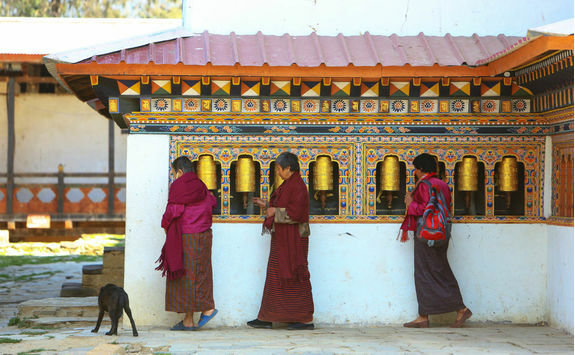 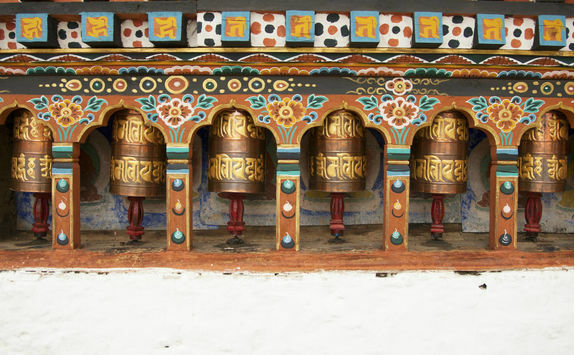 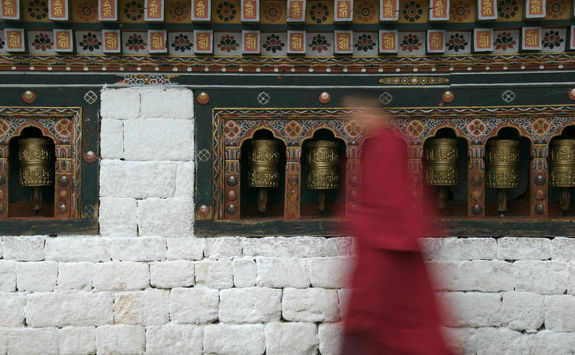 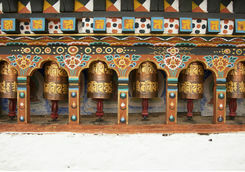 Call at Chimmi Lhakhang, a fertility temple dating from the 15th century and blessed by the adored patron saint of Bhutan, Drukpa Kunley, to see the unashamedly candid symbols, prayer flags and intricately carved prayer wheels. 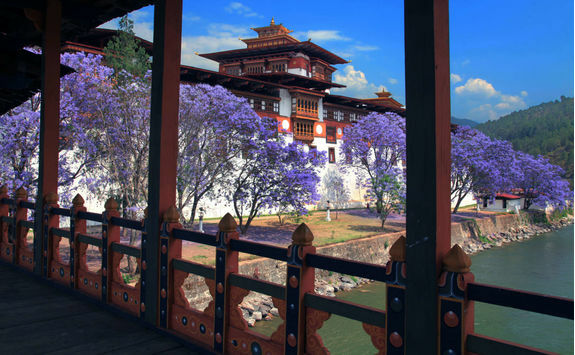 On arrival in Punakha, check into your hotel for the next two nights. 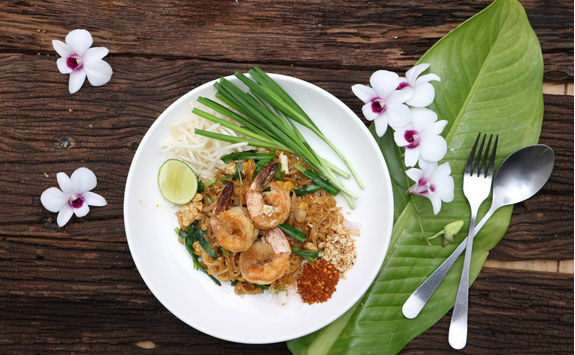 Begin your day with a gentle walk through farmland, with lush rice fields and crops of chillies and cabbages flourishing in the fertile soil. 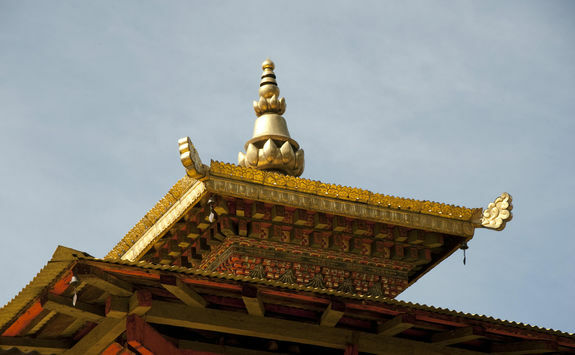 Call at the Khamsum Yuley Namgay Chorten, a towering shrine overlooking the picturesque valley, before heading back towards the 17th century Punakha Dzong, or Palace of Great Happiness, beautifully positioned at the confluence of two rivers. 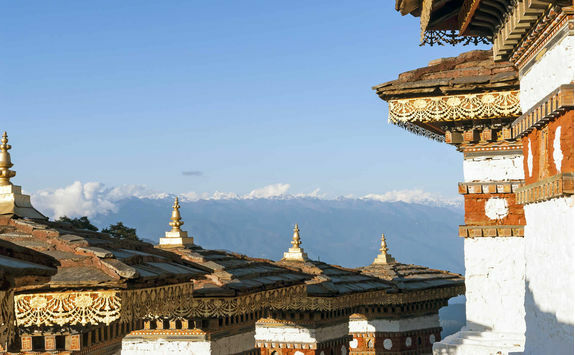 It's now the winter home of Bhutan's head abbot and a thousand monks and it's a truly impressive sight with its red and gold roofs and immaculate white walls. 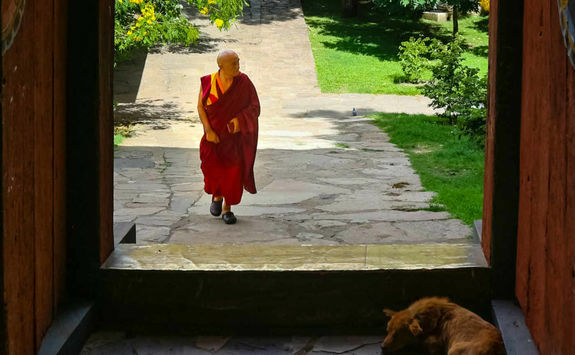 Inside, there are striking murals, shrines and delicate carvings and you may see the monks, cloaked in vibrant red robes, meditating in the halls there. 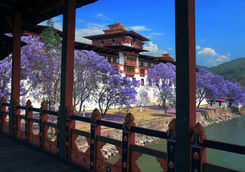 After a picnic lunch beside the river, you'll be driven to the nearby village of Talo, home of the kingdom's four queens, with its pretty temple and beautifully maintained grounds, before heading back to your hotel for the evening. 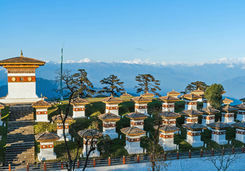 After breakfast this morning you'll be driven back over the gorgeous Dochula Pass, with another chance to take in the incredible mountain views, before winding your way along the Wang Chu and Paro Chu valleys towards the charming Paro Town, stretching along the valley floor alongside the river. 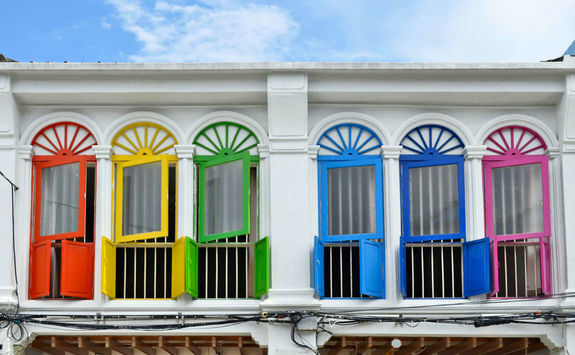 After checking into your hotel for the next three nights, you can take a wander around the ancient ruins nearby, visit the holy monuments or make your way along the town's main street with its distinctive, decorative facades. 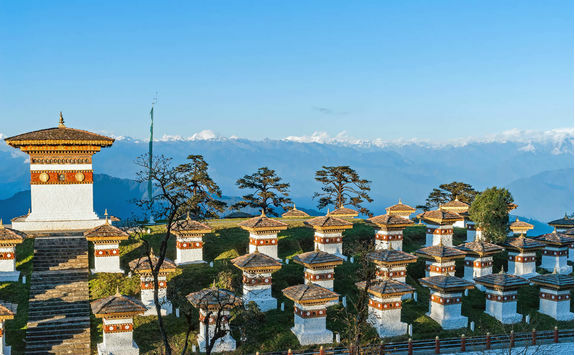 This morning enjoy a walk through scented pine forests to the monastery of Zurig Dzong, then on to Bhutan's National Museum, housed in a 17th century circular watchtower with exhibits ranging from the traditional to the somewhat unusual. 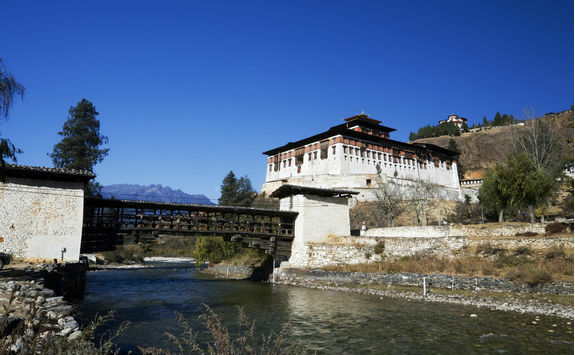 Continuing along the trail is the Rinpung Dzong (otherwise known as the Fortress on a Heap of Jewels), a stunning piece of architecture with its sturdy square walls and wooden bridge straddling the river. 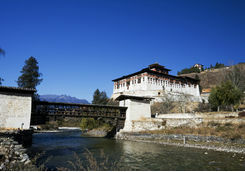 Crossing over the bridge, you'll pass the town's famous archery ground where you may be lucky enough to see some practice arrows being shot by local archers - it is, after all, Bhutan's national sport. 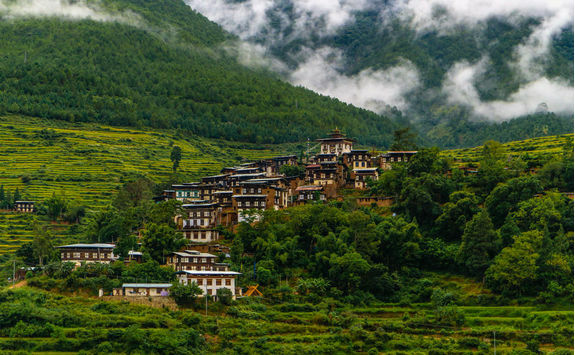 A few miles north of Paro, you'll visit the exquisite Kyichu Lhakhang, one Paro's oldest temples, where a 'magic' orange tree is said to bear fruit all year round. 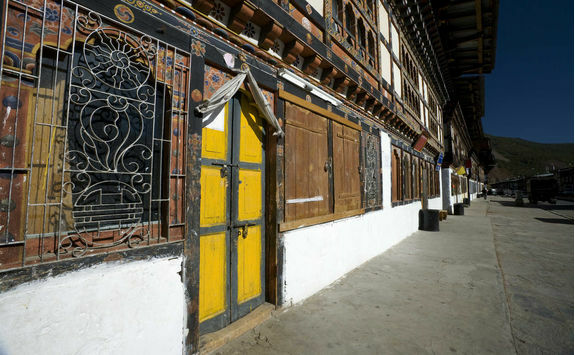 If there's still time today, you may also visit the ruins of Drukyel Dzong, dating from 1648 and built as a control point for the northern trail into Tibet, before returning to your hotel. 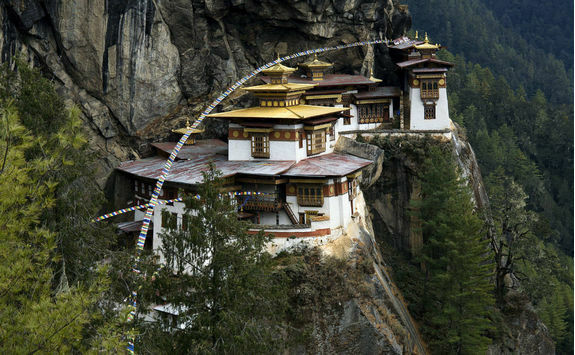 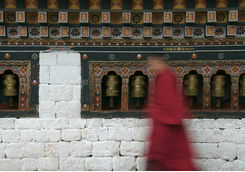 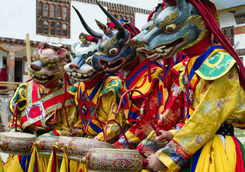 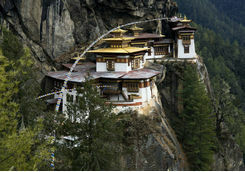 Today will undoubtedly be the crowning glory of your Bhutan visit. 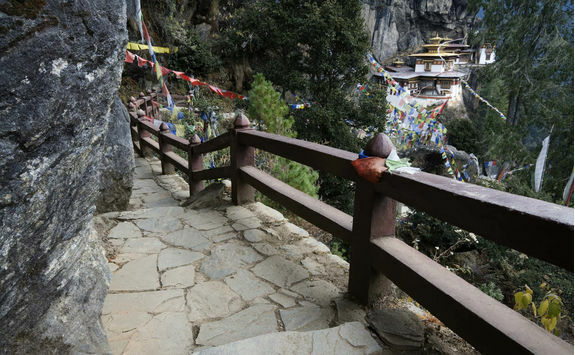 Setting off early to make the most of the cooler air, you'll embark on a two-hour hike up the mountainside, worth every step for the incredible views on arrival at the monastery gates. 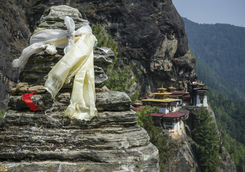 Buddhist legend has it that this is the site of the renowned Guru Rinpoche arriving from Tibet on the back of a tigress and introducing Buddhism to the kingdom. 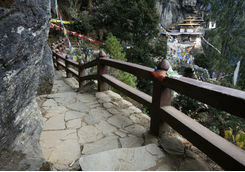 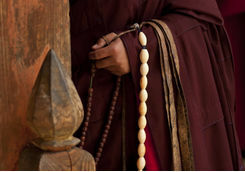 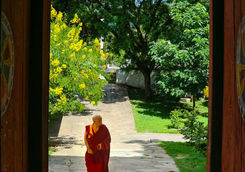 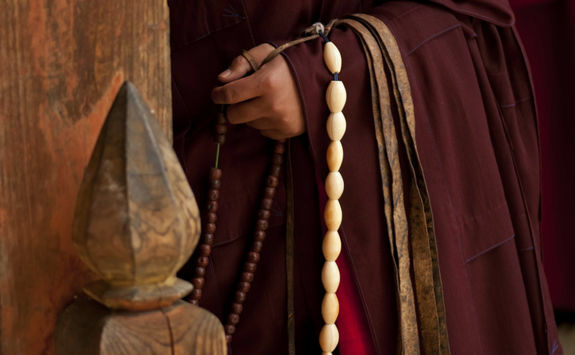 Passing through the gates, you'll be able to join other pilgrims and Buddhist monks and absorb some of the monastery's peace, tranquillity and spirituality for yourself. 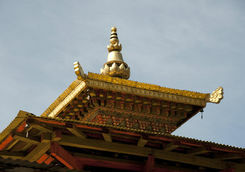 If you still have time and energy, there are more remote temples to visit further on. 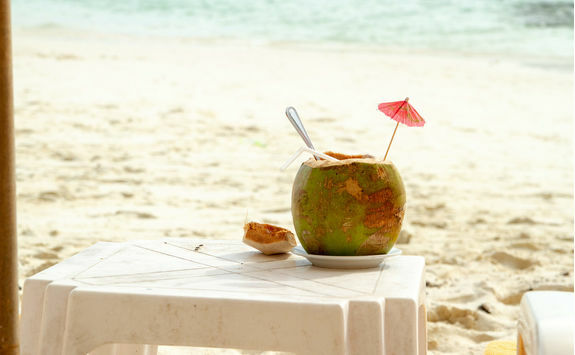 After a well-earned lunch, head back down to your hotel to soothe your weary limbs in the steam room or pool, or perhaps treat yourself to a relaxing massage and an early night. 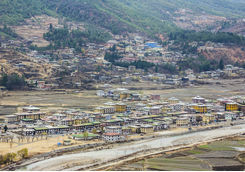 An early morning transfer to the airport at Paro will deliver you in good time for your flight out of Bhutan and back to Bangkok, arriving around lunchtime. 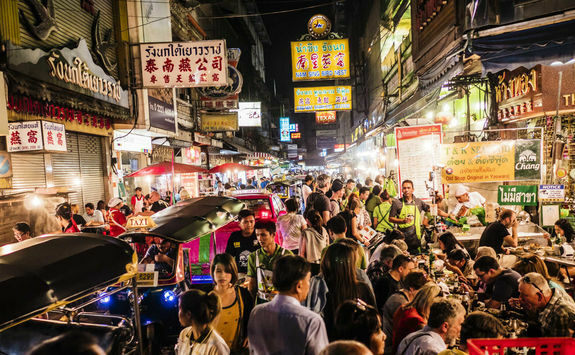 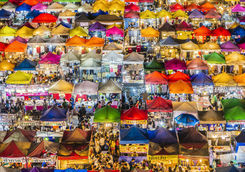 After checking into your city centre hotel you'll have the afternoon at leisure, perhaps for some retail therapy or to sample some delicious Thai food at one of the city's vibrant night markets. 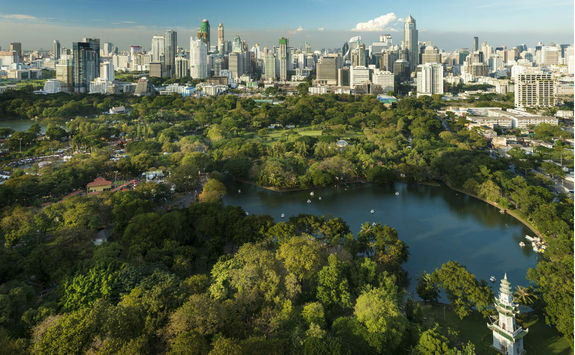 If you're a morning person, join the locals for their daily tai chi, yoga and aerobics workouts with a walk through the beautifully green Lumpini Park, a green oasis in the heart of the city. 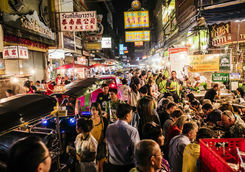 Afterwards, board the highly efficient Skytrain alongside schoolchildren and office workers on their daily commute, taking in great views of the city's impressive skyline. 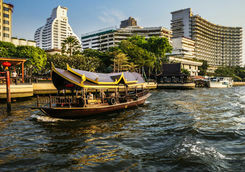 At the busy Chao Phraya River, change onto a public boat and travel past rows of charmingly ramshackle houses, incongruously squeezed between towering hotels, temples and offices. 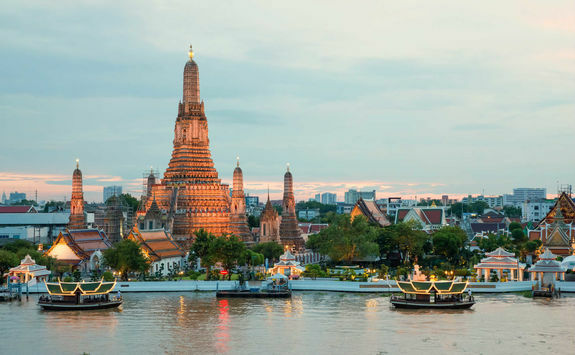 Disembark at the glittering Wat Pho and Grand Palace to explore these iconic sites at your leisure. 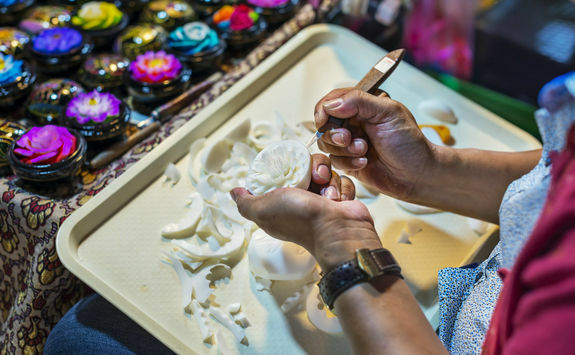 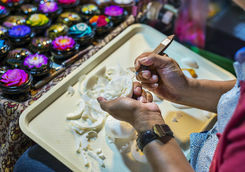 No visit to Bangkok would be complete without a tuk tuk ride, so hop aboard and wind your way through the traffic to the more peaceful Soi Ban Batra, where you can watch craftspeople making alms bowls and learn about the spirituality and daily lives of the Buddhist monks who use them to collect donations. 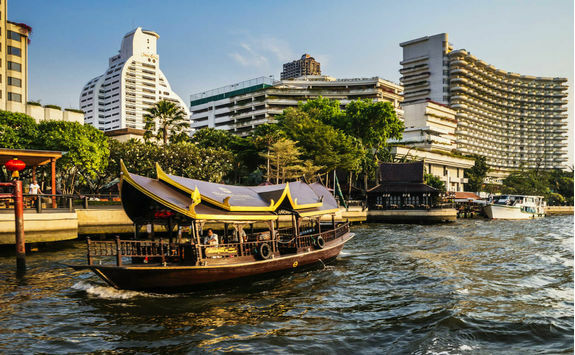 Afterwards, take a 'bus boat' along the canals for a true taste of local life, followed by a stroll to Jim Thompson House, now a museum housing the famous American silk merchant's eclectic art collection. 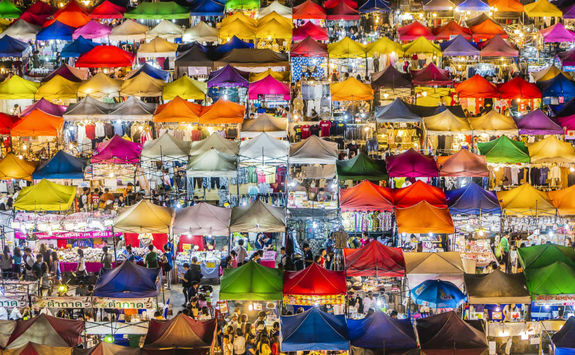 There's a chance to pick up some bargains at the modern shopping malls nearby before returning to your hotel on the Skytrain. 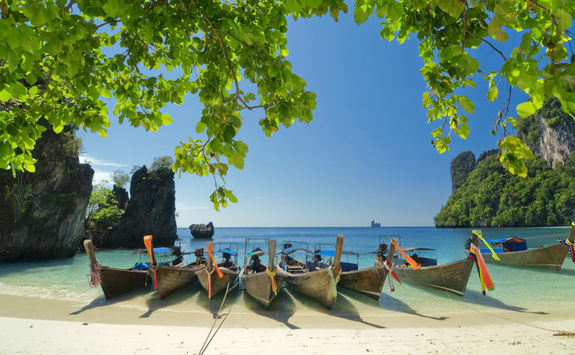 Today you'll return to the airport for your onward flight to Phuket to round off your extraordinary holiday with some chill-out time at one of Thailand's relaxing luxury hideaways. 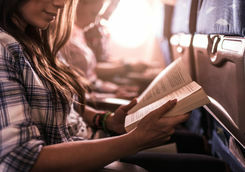 Your flight will take around an hour-and-a-half and you'll be welcomed on arrival and driven to your resort to check in for the next five nights. 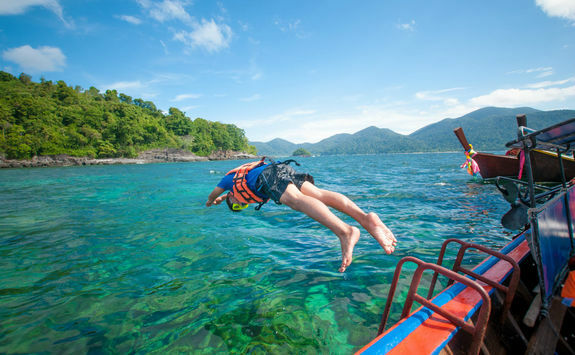 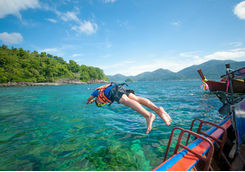 With exquisite cuisine and heavenly palm-fringed beaches, gin-clear bays and spectacular sunsets, Thailand's beaches are guaranteed to soothe the soul and restore the body.Choose to do as much or as little as you like during your stay, with a wide range of watersports, jungle adventures, mountain biking and local tours at your disposal. 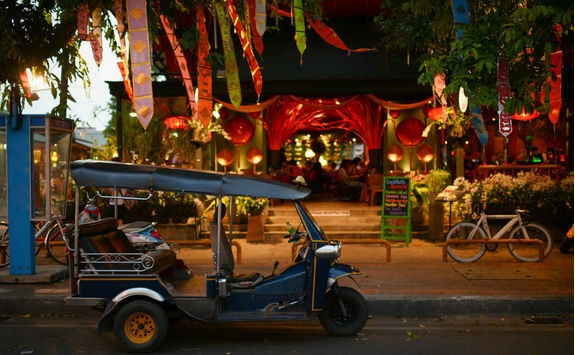 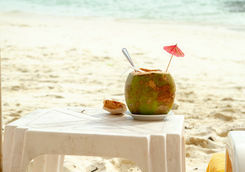 This morning you'll be driven to the airport on Phuket to begin your journey home. 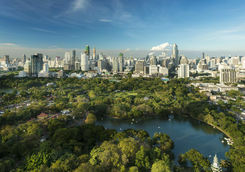 You'll have one connection en route (most likely in Bangkok), arriving back into the UK the same day in the late afternoon.